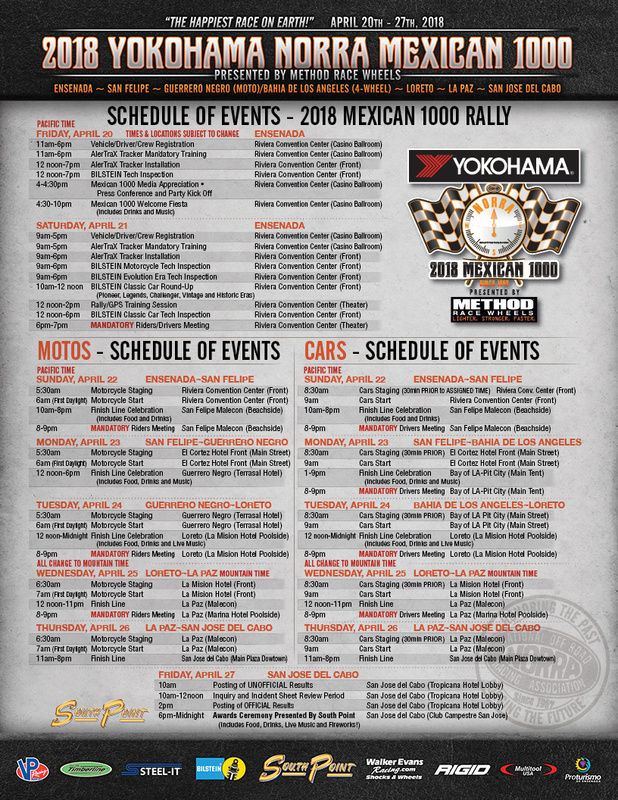 NORRA: NORRA 2018 RA9 - 2018 YOKOHAMA NORRA Mexican 1000 - NORRA Releases Full Course Maps For Cars & Bikes! Today NORRA releases detailed course maps on the NORRA website. Roadbooks, GPS and LeadNav files will be released early next week. !!! In keeping with Mexican 1000 tradition, teams participating in the trans-Baja rally are not allowed to pre-run per NORRA rules and regulations !! !